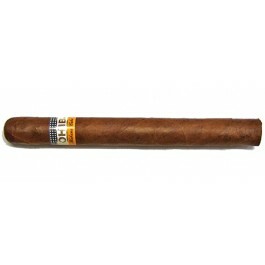 The Cohiba Siglo III is a classy medium bodied Corona Grande, of 42 ring gauge, 6.1” (155mm) long and comes in aluminum tubes in a box of 15 cigars. A very complex cigar that has nice savor. •	The Siglo III is remarkably balanced. •	The cigar is full of amazing flavors and aroma and finishes in a twang. This cigar sweet and spicy cigar will ravish your palate and leave long lasting flavors on your palate. Dark brown oily wrapper with nary a visible vein. A pleasant floral taste, with hints of fresh nutmeg. The Siglo III has an incredible easy, smooth draw. It has a perfect burn and it can wait patiently between relaxed puffs. The second third is woody, and we have some more gentle spicy notes. Notes of sea salt and a smooth cedary taste. It has a very pleasant, calm, rich and oily finish. In summary, the perfect cigar to smoke at the end a dinner.